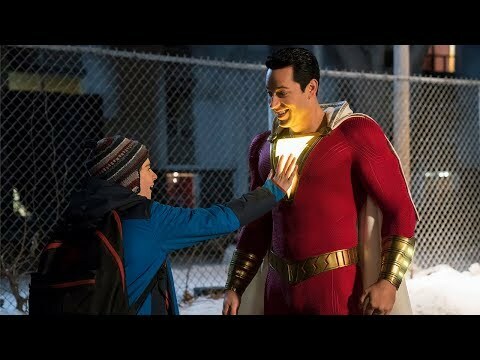 The third film in DC and Warner Brother’s attempt at a Cinematic Universe ended up facing a lot more pressure than it ever expected. Suicide Squad has the expectations and hopes of fans and the studio to place this universe back on track and establish Warner Brothers as a force to be reckoned with in the comic book movie era of Hollywood. Well now the film has released and what’s the verdict? Maybe it’s time to go back to the drawing board Warner Brothers. Figuring they're all expendable, a U.S. intelligence officer decides to assemble a team of dangerous, incarcerated supervillains for a top-secret mission. 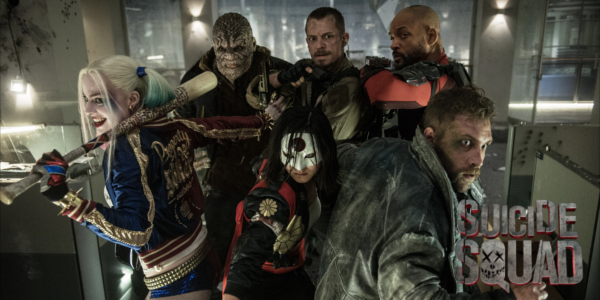 Now armed with government weapons, Deadshot (Will Smith), Harley Quinn (Margot Robbie), Captain Boomerang (Jai Courtney), Killer Croc (Adewale Akinnuoye-Agbaje) and other despicable inmates must learn to work together. Dubbed Task Force X, the criminals unite to battle a mysterious and powerful entity, while the diabolical Joker (Jared Leto) launches an evil agenda of his own. From the beginning, Suicide Squad deals with its introductions and formation of the team is such a heavy-handed manner. Rather than introduce the characters in a natural way, each is explained in a debriefing that drags on for far too long. The mission they embark on not only becomes too big, but it also manages to merge the second and third acts into one big jumbled mess of a scene. Character motivations are incredibly flawed throughout. Once they’re given what they want, they continue to fight despite not being forced, defeating the entire premise of what Task Force X represents. The performances themselves are relatively sound across the board minus a few mishaps. Will Smith and Margot Robbie are the two major characters in the film and get the only backstory or earn any real connection from the audience. They both are pretty accurate portrayals of their comic counterparts and bring their own moments of humor and emotion that make them actually standout. Viola Davis is another positive as the morally ambiguous Amanda Waller and Jay Hernandez is surprisingly fun to watch at the fiery Diablo. But even though these characters are all likeable, they don’t incite any feelings from the audience (and those are the good characters). The opposite side of the coin sees some truly cringe worthy performances and characters. Cara Delevingne as the mysterious Enchantress is not believable in anything she does and some moments could be qualified as laughable. The other members of the Squad are either useless (Slipknot, Killer Croc) or underused (Captain Boomerang, Katanna) and could’ve been cut for a focus on the other characters that worked. And finally the biggest flaw of them all: Jared Leto’s Joker. Almost certain to divide people regardless of performance, Leto appears as a character that is Joker in name only and ultimately could’ve stayed away from the film entirely. Perhaps the biggest challenge in making this film that director and writer David Ayer had was introducing characters that no one had ever heard of before and balancing them enough to warrant keeping them in the film. The product ends up becoming a cramped and poorly paced, over-edited mess. Action wise, Suicide Squad is entertaining and enjoyable but most everything surrounding it fails. The humor, while certainly there, misses on too many occasions to actually call it a success and the carousel of music is jarring at each scene features a new song. The collection of all of these elements produces a film with an identity crisis. Overall, Suicide Squad is a massive disappointment. The premise and the characters are likeable enough, but both deserve to be in a better film. Editing is a major flaw of the film that causes other issues with pacing and tone that could’ve worked with more time spent in the editing room. The performances are all serviceable for what they’re given form the script, which isn’t very much. With Warner Brother’s third strike in a row, how many more do they get before their cinematic universe is a failure? 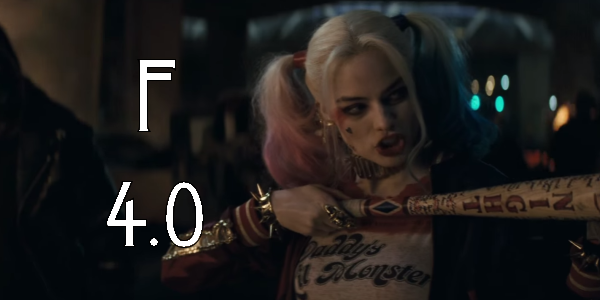 So what did you think of Suicide Squad? Have you seen it and what's your favorite DC film? Subscribe, share, comment below and as always return to I Am Sam for weekly reviews and insight.